Love this! It has a great cinema feel! Rain, reflections, night ... and b&w! Great recipe for a street scene. Such pretty lighting and reflections. Feels like a movie. Love this atmosphere in this shot. Sums it up completely! Hasn't it been foul. Nice sunny day here at long last. 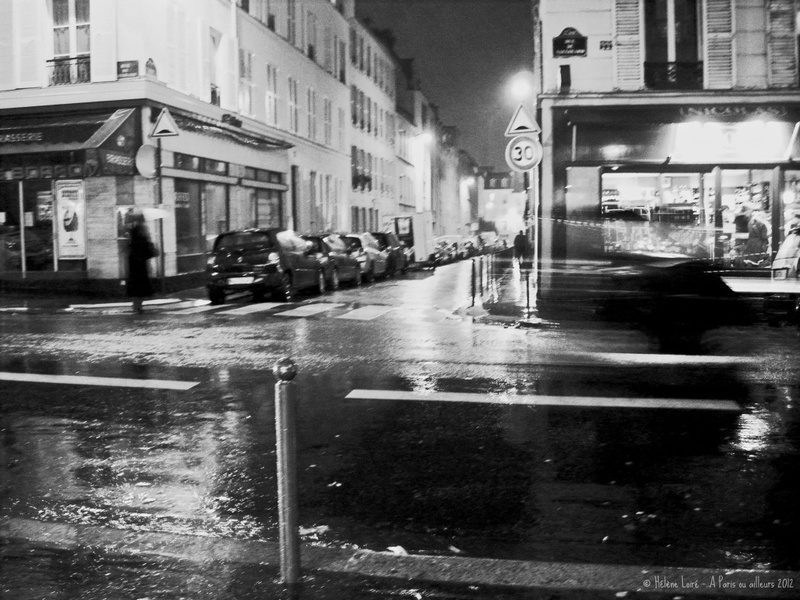 Fantastic rainy Parisian street! I love this! It sure does look rainy. Great capture. I agree with Jerry - atmospheric French film! Great catch! Love the b&w. This is very gloomy, Helene!